It is hard to imagine modern life without mobile phones, they are students, businessmen and pensioners. In order to always stay connected with your loved ones, it is necessary to monitor the charge level of the batteryand phone and time to charge the cell phone. In the presence of a regular charger supplied with your telephone, connect the plug into the phone. Plug your device, switch to the outlet. Will start charging the battery of the phone, while the phone's screen, there will be a change in the charge level. Use to charge battery computer. Turn off the phone. Insert the mini USB connector into the port of mobile, and plug a regular size plug into the PC port side that has no cuts. The phone screen will light up showing the connection. The phone will start charging. Charge the battery with universal charger, called "frog". 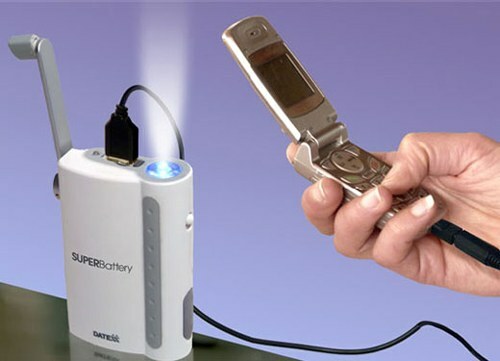 It is suitable for charging different models of mobile phones. Open the plastic holder and insert it into the charger the battery. Move to the contacts of the battery antennae from the charger. Connect the device to 220 Volts. Charge the phone using the original power supply (charger from any phone). Cut the charger plug that is inserted in the connector. Carefully cut it in half with an insulating cord having wire with a knife along. Cord insulation pulled down to expose two wires, red and blue color. Inspect the phone's battery. Find it on the gold contacts and the signs "+" and "-". Connect the red entries to the sign "-", blue to "+". Be careful, as if connected incorrectly you can get a mild electric shock. Carefully, trying not to sever the wires and the battery, wrap the wire with tape to keep the design in hand. Connect the charger to the network. If you use the battery charger charging started (charging indicator on the screen has not changed its view), try to insert the plug deeper into the socket or move your phone or plug. Charging via USB is several times longer than charging with the adapter (unit) supply.